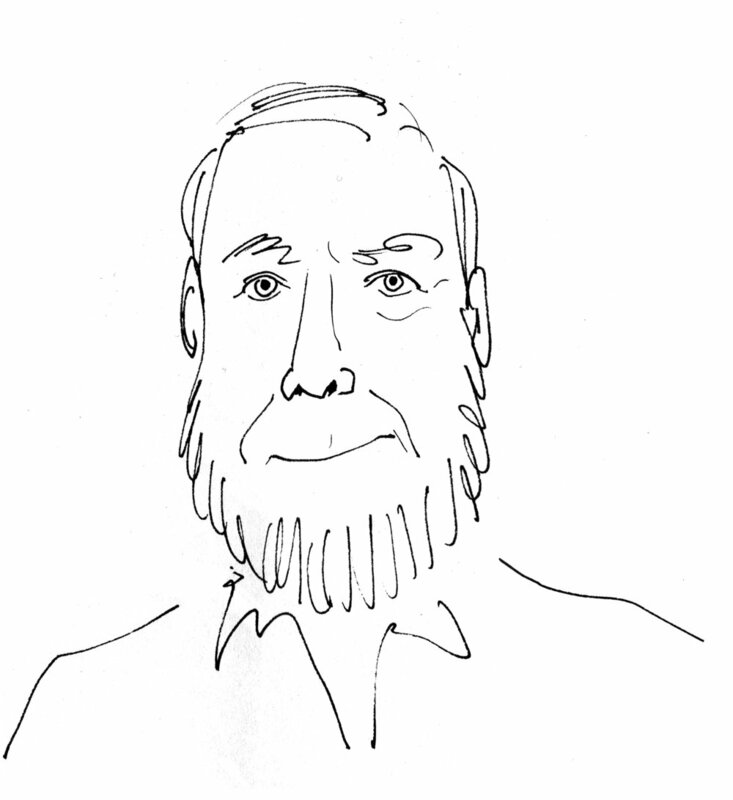 Kevin Kelly is the founding executive editor of Wired magazine, a former editor/publisher of the Whole Earth Review, a photographer and writer. Kelly's work has appeared in international publications such as The New York Times, The Economist, Harper's Magazine, GQ, and more. He also authored seven books and spoke at the TED Conference on how technology is evolving. "[This book] influenced me, because it was ... I mean, I was an American and, of course, I was a kid. I hadn't really seen very much, but it was this idea that the great stuff was just in my backyard, that it was in my neighborhood, that it wasn't exotic, I didn't need to go to France to do it, I didn't need to go anywhere, it was here, it was everywhere. I wasn't in tune with his sensibility, his kind of dark, little bit despairing ... I didn't really respond to that, that was not me, but the idea that there was a story, there was a big story, there was an epic story in my backyard. That was very, very powerful. This transferred to the idea that even beyond photography, that there was a great story in anything if you looked at it with new eyes, if you looked at it differently. And you could write a story about oranges, which is what John McPhee did. You could take anything, and if you really started to examine it your way, you could have a great story like The Americans. So, that was what I got from that." 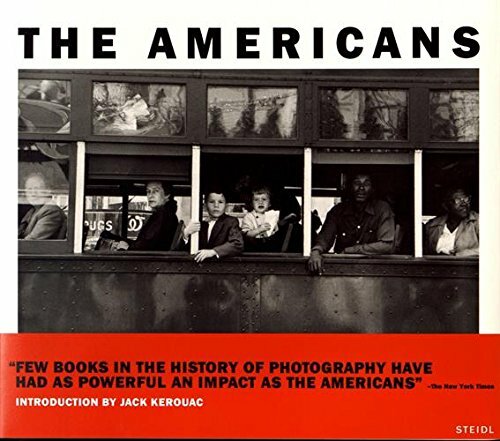 "This book was like The Americans, it was a view of America. And, it blew my gasket, it just blew my mind, because for the first time I was seized by this craving, by this compulsion to travel, to see that multitude that what Whitman had seen, to experience this sort of inflation of life, this, I don't know, this just enthusiasm that he had encountering the world. I wanted to travel and I did. My first place I went to was Hong Kong and Taiwan in 1972, and my mind was blown again, and I encountered alien civilizations, alien ways. And, I switched from black and white photography to more anthropological. More like a National Geographic. I was a kid growing up in New Jersey and had no idea this existed in the world." "The idea was a really big thing, this kind of minimalist approach, and you just catch, you shoot, it's kind of like you're hunting and you take the perfect humane shot, and you hit it right in the heart and you get it. This is street photography and that was kinda what I gravitated to. I was doing landscape stuff to kind of learn the technique, but I think my heart was a little bit more in the cultural aspect of it. 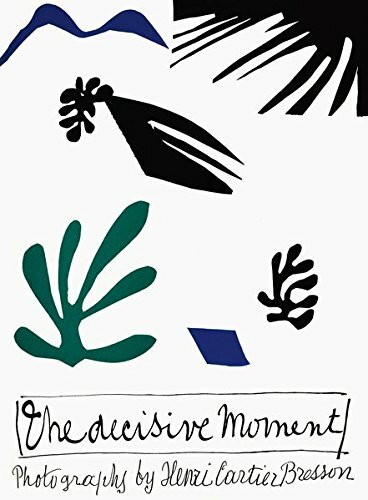 So, that was very influential and I think it also wasn't just the idea this was a time thing, I think The Decisive Moment, to me, was also this way of kind of ... I mean, some of his images are incredibly abstract in a certain sense, like the last one, the famous last one of the guy with the reflection, where you're trying to minimize the entire structure, the entire image itself to some essence. So, that was hugely important." "This book is by a French couple who were photographing for National Geographic in Afghanistan. They were fantastic images, but the kind of life they were describing, again, the scenes, the culture, were just so time shifted, they were from another era, they were so different from what I could possibly see, and I wanted to do that for the rest of Asia. I wanted to do what they were doing, to get to these remote places and capture what was vanishing now. And, that was a huge inspiration, was like, 'If they could do that there, what about Laos? What about Korea?' And so, it kind of set me on this 40 year quest to capture Asia, to really, in a kind of documentary way or a most anthropological way, of seeing this different way of doing things, the beauty in it that was vanishing and to capture in a elegant beautiful way, which is what they have done. So, they weren't just snapshots, they really had an art to their eye and they were just fantastic." "What's interesting about this book and how it inspired me was a different type of photography than what I was doing before, which is not just documenting the kind of painterly, epic scenes. So, for me, the ultimate photograph was a scene that could not have been taken anywhere else but that place. It has the architecture, the costume, the flavor, the lighting, the geographical specificity that would say that this ... You could not have taken this anywhere else but in this, I don't know, backwaters of Laos. It captured all these things that would be what I was always looking at. And over time, as I was going through it, I was regretting having not taken all the other stuff that was going on. This book is a dense pocket of modern Shanghai, but just it has graffitis, that are the symbols, which are actually the symbols for the wreckers to destroy something. There's these kind of collections of details that has really got me to document other things besides just the painterly, epic view which is what I had been focused on. So, now I'm documenting all these other parts to include in my Vanishing Asia book. And, that kind of style of just many, many images in a collection kind of a thing is something that changed how I shot."